Kenyan runners were in scintillating form at the 2018 IAAF U20 Championships in Tampere, Finland. Kenya finished atop the meda; standings with six gold medals. Kenyan men have been dominating the 800m metres in the 2018 Diamond League. 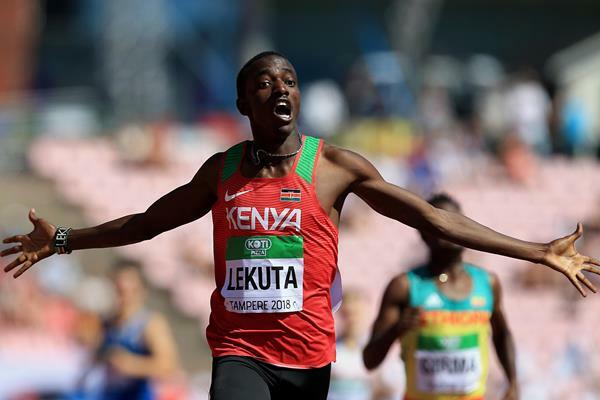 The Junior men followed suit at the IAAF U20 championships, thoroughly devastating the rest of the field and underlining Kenya’s dominance in this event. Ethiopian women have dominated this event, winning it the last 5 times, often going 1-2 with Kenya typically settling for the bronze medal. 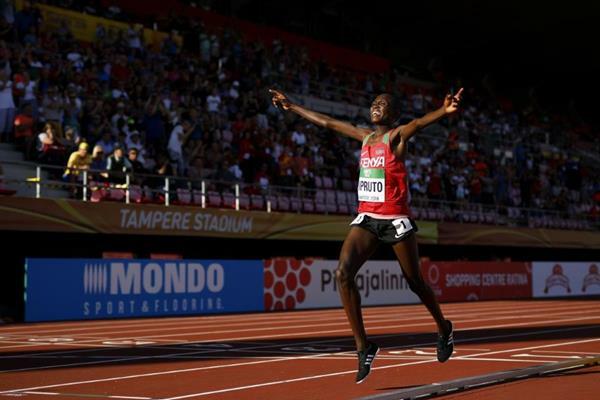 However Beatrice Chebet seemed determined to break this mold. 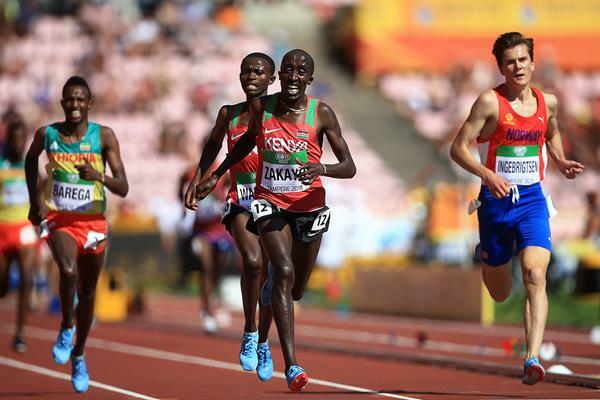 The leading pack of two Kenyans, two Ethiopians and a Ugandan stayed together until 300 metres were left when the pack was broken leaving Chebet and Ejgayehu Taye of Ethiopia to battle for gold. 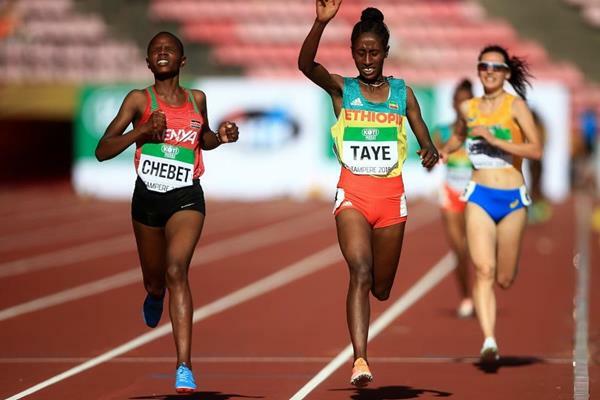 Taye led until 150m were left when Chebet made her move. But Taye would not easily give up the gold battling Chebet all the way to the end. All three medalists ran personal bests. 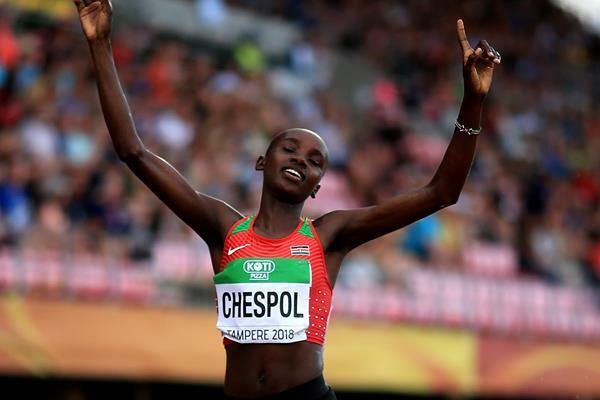 It was a coming out party for Chebet whose performance in international competitions had not been impressive this far. She finished 4th in the IAAF World U18 championships held in Nairobi and 10th in the African cross country championships. Earlier this year, Cellphine Chespol was the hot favourite to win the gold medal at the Commonwealth games. However she and her team-mates must have under-rated the Jamaican Aisha Praught. The Jamaican ended up shocking the Kenyans by winning gold. This time Chespol made no such mistakes. She was under no illusions because it was a strong field that included other Diamond League regulars like Kenyan born Bahraini Winfried Mutile Yavi and Ugandan Peruth Chemutai. It was the Ugandan who led for most of the race with Chespol following close by to cover all her moves. Chespol finally made her move surging to the front with three laps to run and cranking the pace up further as she clicked through 2000m in 6:15.04. Coming into this race, Solomon Barega was the firm favourite, He had beaten the Kenyan duo if Zakayo and Waithaka at the IAAF U18 championships in Nairobi. 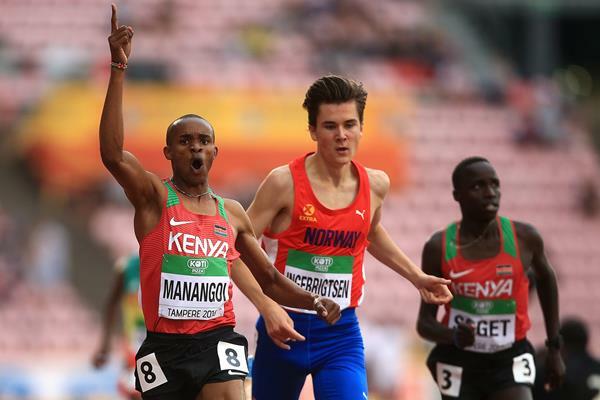 Also in the race was highly rated Norwegian Jakob Ingebrigtsen who had already won a silver medal in the 1500m. Then there was the Ugandan Jacob Kiplimo who won the bronze medal in this same event in 2016 and won the junior race at the 2017 world cross country championships. Barega was leading at the bell before Withaka made his move followed by Ingebrigtsen . Zakayo appeared out of the race at the back straight. But he turned on the jets with 50 metres to go and went from 4th place to 1st place. Rhonex Kiprono had no challengers in this race. He ran most of the second half of the race on his own. In the process he ended up finishing 19 seconds ahead of his closest competitor. He clocked 13:23.86 for the final 5000m which is an impressive time. In fact would have powered him to victory in all but four of the 16 previous 5000m title races contested at these championships. He also set a new personal best by 29 seconds and broke the previous championship record by almost 5 seconds. In the women’s 400m, Mary Moraa won her opening heat in a personal best of 52.85. In the semi-finals, she finished second in 52.98 which enabled her to reach the finals. In the final, she clocked 52.98 to finish in 5th position. It was a creditable performance in an event that Kenyan women rarely participate in. Moraa has a bright future and a strong candidate to win gold at the next All Africa games. Other Kenyan medalists were Miriam Cherop who won silver in the women’s 1500m. Leonard Bett won the silver medal in the men’s 3000m steeplechase. This entry was posted in Kenya Athletics News, Kenya Sports news and commentary and tagged Beatrice Chebet, Cellphine Chespol, Edward Zakayo, George Manangoi, Justus Soget, Rhonex Kipruto, Stanley Waithaka. Bookmark the permalink.